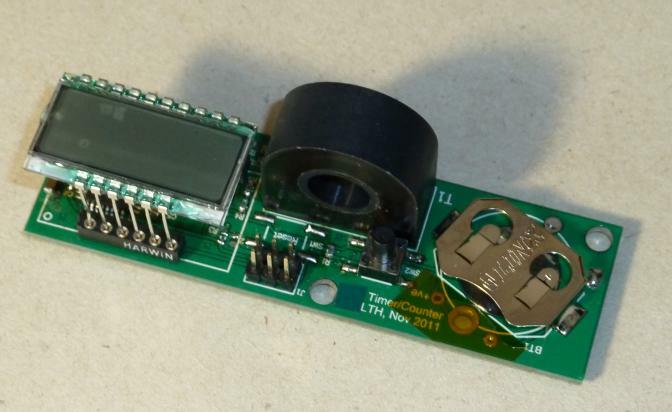 This board uses a current transformer to sense current flowing in a wire and counts the number of times it comes on. It also keeps a cumulative count of the total run time. This provides useful life time information for service management.